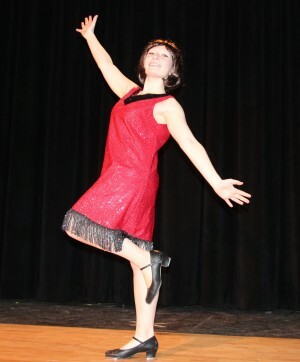 Set in New York City in 1922, “Thoroughly Modern Millie” is about a young girl from Kansas who comes to New York in search of a new life for herself. Her plan is to find a job as a secretary for a wealthy man and then marry him. The cast of “Thoroughly Modern Millie” prepares for a three-day run beginning March 13 in the John C. Birdlebough High School auditorium. However, her plan goes completely awry. The owner of her dingy hotel kidnaps young girls to sell to the Far East; her wealthy boss is slow in proposing marriage; and the man she actually falls in love with doesn’t have a dime to his name – or so he tells her. The performance is under the direction of JCB Drama Club Adviser Brian Logee, with the assistance of English teacher Lisa Spereno. The show’s three-day run will begin with a 4 p.m. performance Thursday (March 13). 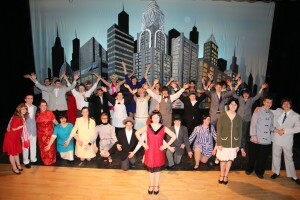 Additional performances are scheduled for 7:30 p.m. Friday, with a 2 p.m. matinee Saturday and a final show at 7:30 p.m. Saturday. All performances will be held at JCB High School auditorium, 552 Main St., Phoenix. Tickets will be sold at the door, and seating is reserved as well. Admission is $10 for adults and $7 for students and senior citizens.